Esperance de Tunis defender Sameh Derbali said on Wednesday that his side's mission against Ahly in the Champions League final on Friday in Tunisia will be difficult but not impossible, adding that players will do their best to win the continental title. Esperance lost the first leg 3-1 at Alexandria's Borg El-Arab Stadium last week and they will be looking to overturn this defeat on Friday when they host the Cairo giants in the second leg at Rades Stadium. "Defeating Ahly 2-0 in Rades will be difficult but not impossible," the former Tunisia international told a Tunisian TV channel on Wednesday. "We will fight during this game to win the title." The Tunisian fullback stressed that his side should avoid conceding goals at home, saying that his team will play a balanced game on Friday. "Conceding goals in the second leg will make our mission more difficult. We should avoid this scenario and play a balanced game." The 31-year-old added that players are focusing on Friday's clash, and that they have put the first leg incidents behind them. 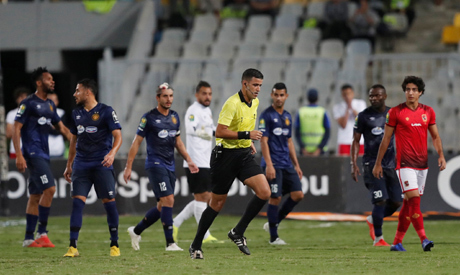 The first leg saw many objections from the Tunisian side concerning two controversial penalties awarded for Ahly during the game. "Our defeat in the first leg is a fact and we cannot change the result of the game. We are focusing now on the second leg and how to overturn our loss."